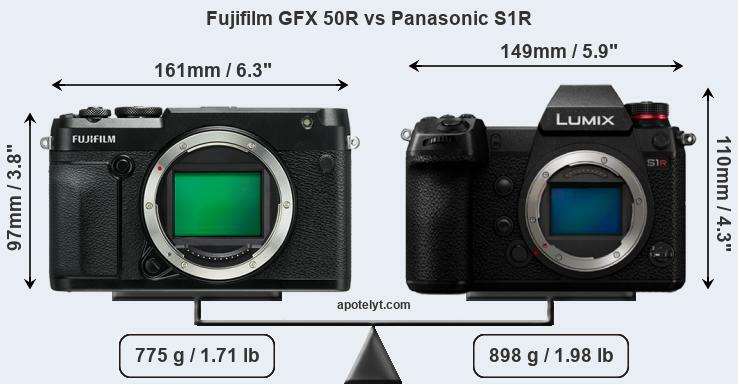 Apotelyt used all the details from here and here to put the Panasonic S1R in their comparison system and it’s a very interesting match up for the Fujifilm GFX50R. 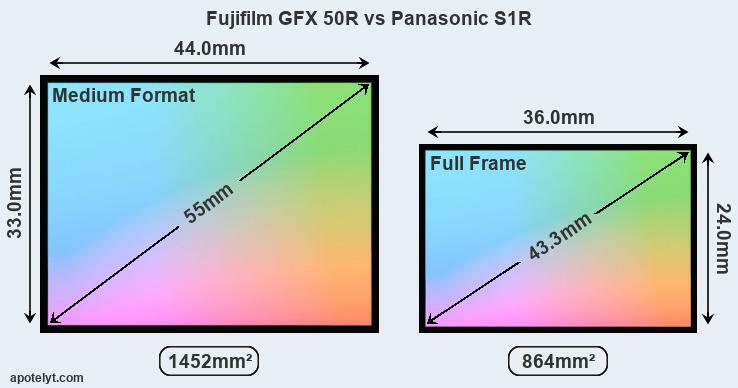 I personally would still favor the Fujifilm GFX50R heavily especially considering how compact and light it actually is compared to the S1R, but the new Panasonic S1R is quite a technological achievement. You can follow it’s launch at 43addict if you’re interested. The official announcement is expected within the next 24 hours. 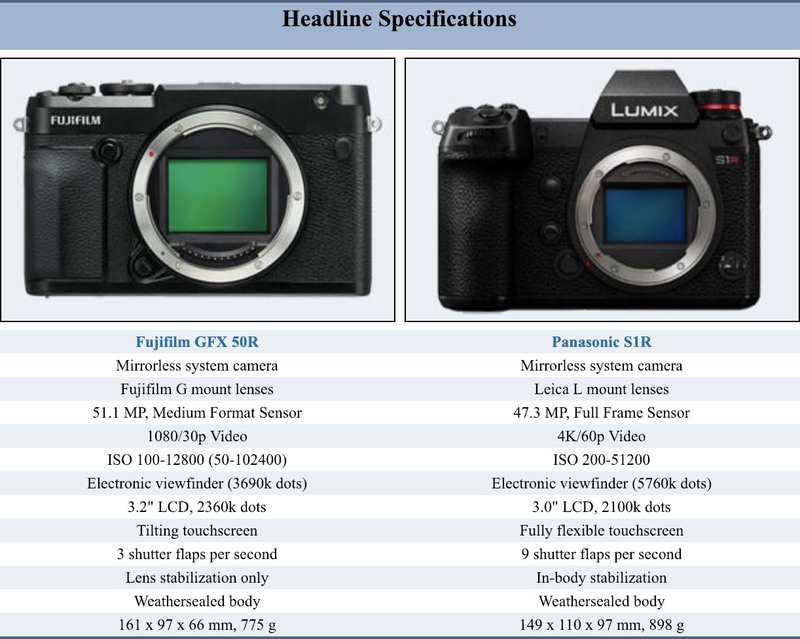 More detailed LCD: Has a higher resolution rear screen (2360k vs 2100k dots). Less heavy: Is lighter (by 123g or 14 percent) and hence easier to carry around. Faster shutter: Has higher mechanical shutter speed (8000/sec vs 4000/sec) to freeze action. This entry was posted in Fujifilm GFX, Fujifilm GFX 100S, Fujifilm GFX 50R, Fujifilm GFX 50S and tagged Fuji GFX, Fuji GFX 100M, Fuji GFX 100R, Fuji GFX 100S, Fuji GFX 50R, Fuji GFX 50S, Fuji GFX100M, Fuji GFX100R, Fuji GFX100S, Fuji GFX50R, Fuji GFX50S, Fuji Rumors, Fujifilm, Fujifilm GFX 100M, Fujifilm GFX 100R, Fujifilm GFX 50R, Fujifilm GFX100M, Fujifilm GFX100R, Fujifilm GFX100S, Fujifilm GFX50R, Fujifilm GFX50S, Fujifilm Rumors, FujifilmRumors, Fujirumors, GFX, GFX 100M, GFX 100R, GFX 100S, GFX 50R, GFX 50S, GFX100M, GFX100R, GFX100S, GFX50R, GFX50S, Medium Format, Super Full Frame. Bookmark the permalink. Trackbacks are closed, but you can post a comment.